I built a new ISO last night. it will not be up for long. I just wanted some feedback of how caja looks in general. Of course a lot of features are broke atm. Do you think it fits with unity? Edit: The ubuntu-unity-nemo-amd64.iso is very stable. Edit: nemo experiemental iso has been moved from main archive. Thanks to all those who tested. I’ve had the opportunity to test the caja-experiment ISO in live-mode and I personally think caja feels right at home and integrates nicely with Unity (to other testers, do ignore the green wallpaper and the lack of unity dash color change to accommodate it, those are integration issues). And to me it’s a move forward because I’ve never liked the direction nautilus has been heading since 3.10, namely with reduced options and features. In that sense caja brings back features I’ve been missing, like the up button, status bar, and the ability to write in the address bar, just to name a few. Also, caja, as a part of the MATE project, means that its design/development pace will be conservative, something I think falls in line with maintaining Unty7 alive. It also means it’s possible to borrow the work already done with Ubuntu MATE to bring up an Ubuntu Unity flavor with a nice, curated selection of software. I appreciate that you had posted your testing result and your above views. There are issues installing caja in an unsquashed iso so it is really tweaky kind of stuff to get it right. If not later tonight then I hope by Friday I’ll have something more workable available. Well this is true in many respects but we want to keep ubuntu-unity themes and apps working to some degree, that renders unity distinctly unity. We don’t want it to be an assimilated project that is leaning to heavily on other flavors. Of course all the other major shells have something to offer, something to pull in as possible defaults and I like your reasoning on the topic. As a programmer I was taught that programming efficiency is tantamount. Small, fast little modules and loops. This is what is happening to nautilus to a degree. What some may see as nautilus getting the brush-cut, others see as trimming UI eyecandy and other features that some consider wishlist. This makes for faster, more efficient desktop but there is a price to pay in that some user_space intuitive navigation suffers. So the trick is to find a balance betwix the two. Hopefully we will. I get what you mean, I wouldn’t want it to be an assimilated project like that either. The question is, will Unity7 have enough maintainers to be on its own safely, especially considering that relies on compiz, something that mid-to-long term will be considered obsolete as wayland becomes more and more common. Then again, I don’t see xfce, for example, using anything other than X for a long time. I do know that my comments are from the perspective of a user exclusively. I’m not into the technical details and I won’t pretend otherwise. That said, I see what you mean regarding nautilus from a user’s perspective, and makes me think of nautilus vs. nemo: even though I use nemo for myself, I don’t really advise anyone on my family to use it with standard Ubuntu 16.04, as nautilus feels more responsive and stable, so something must be going on under the hood. caja is equally stable and responsive as nautilus in my experience though, but I’ve always imagined that’s because it’s been very consistent since its fork from GNOME2. What I’m trying to say is that whatever you guys decide, I do know it’s with that balance you speak of in mind and it will be the best possible technical decision. “And if you’re feeling boned by the lack of Unity in open source, you might want to hop onto the channel and join those who are updating Unity7 for the newest X and kernel graphics in 18.04.”[/quote] - so only Mark can interpret his own words but I see that he is hinting that there will be some new upgrades to X goodies. 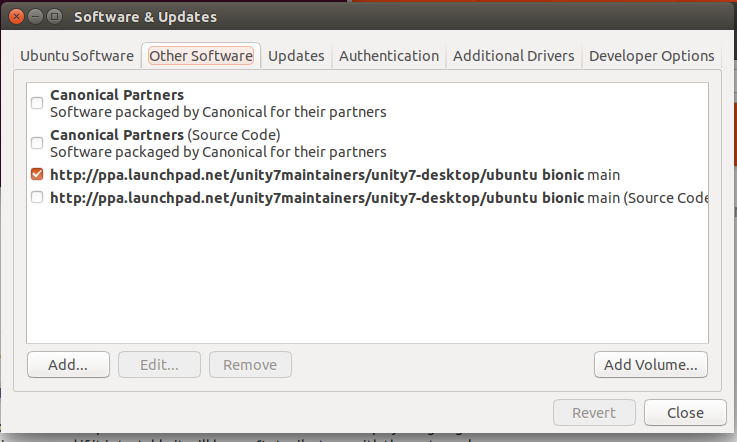 So if that is the support that Canonical can offer us , I think we can deal with it an adapt and build some cool stuff. Let’s stay with ubuntu-unity as it is now for the 18.04. Later, if anyone wants, we can move to Caja or whatever file manager. Everything works quite well with standard ubuntu-unity-18.04. Please read that link. I think we can work with the dev. Let me test the .ISO and if it looks testable I’ll put it up this afternoon. edit: pcmanfm presented some anomolies in the built .ISO and although they were interesting the .ISO is not really fit for uploading/testing. I know that…go on testing. That’s what we do anyway, isn’t it? Terminal log? Ubuntu recently dropped few packages from bionic so we need to remove those from source as well. Here is chroot terminal paste from Cubic. Did you have universe enabled, before attempting to install the ubuntu-unity-desktop? After I enabled universe repos it installed like a breeze. Have about 10 projects going here. I’ll test the build as it is cooking now and if it is testable it will be our first milestone with the meta-package. Our first milestone being uploaded now. It works stable in live session. It is pure unity desktop from meta. @dale-f-beaudoin Maybe, you should also announce yours to Distrowatch. It takes a while for Distrowatch to notice a new distro, so better send a email. More the people know about your ubuntu-unity is better. After all, ubuntu-unity has Cannonical’s consent. We are awaiting word from Technical Board which may take some time. What I am saying is, why not give some info about ubuntu-unity-amd64.iso to Distrowatch? That way, lot of people will know about it. Perhaps you could do this for the team?